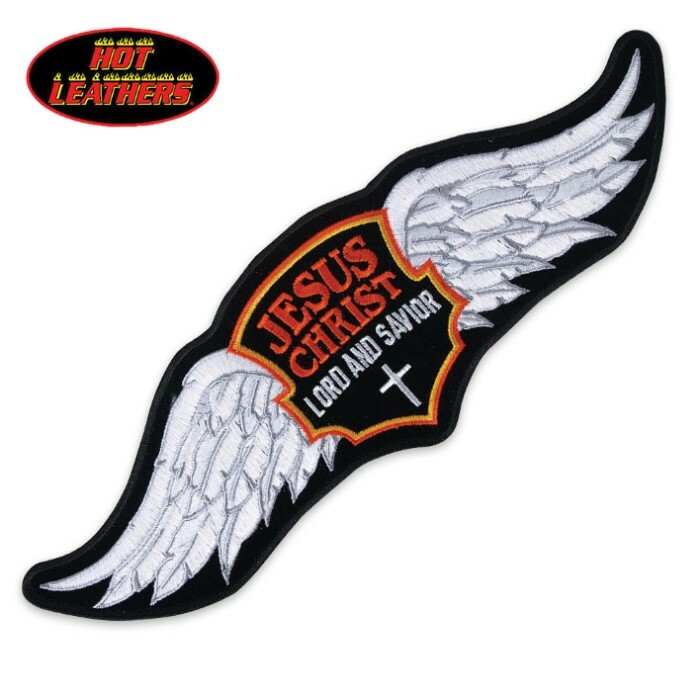 Hot Leathers Jesus Wings Patch | BUDK.com - Knives & Swords At The Lowest Prices! Add some edge to your leather jacket or vest or anything else that you can think of to display this originally designed patch. This patch has an embroidered “Jesus Christ Lord and Savior” design and is made of sturdy materials. A heat-sealed backing makes for easy iron-on application.